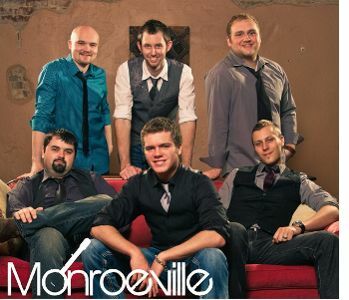 The bluegrass music group Monroeville has released their first full-video, "Be Natural" on Vevo. Since the band’s inception four years ago, the 2012 International Bluegrass Music Association’s Momentum Band of the Year, Monroeville, has been on a mission; bring musicians back to music. At a time when live show auto-tune reigns supreme, and even country music’s elite are lip-syncing, Monroeville is true blue. At the band’s core is a belief that good music knows no boundaries. 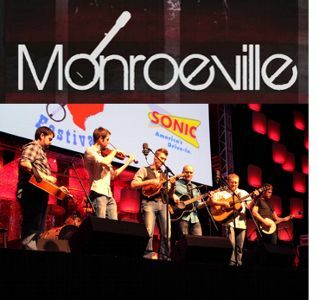 2012 International Bluegrass Music Association’s Momentum Band of the Year, Monroeville's newest single, "So Far" is now available for download. Featured this last week at the New Music Showcase during the Country Radio Seminar, the all new original single, penned by Monroeville's own Eli Johnston, is a classic tale of unrequited love. Cleverly written with a fun beat, a catchy hook line, and accented with tight harmony and great musicianship, "So Far" will be anything but far from your mind. New Music Showcase over the years has been an overwhelming success spotlighting some of the hottest new talent at radio today. 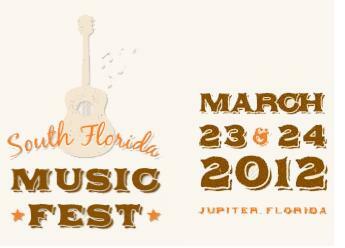 Joining this years 2013 lineup are Music Row and New Music Weekly magazine charting artists Kelly Parkes, Matt Farris and Hanna Belle, which join forces with Paris Delane, best known for his #1 Billboard hit "Lover Lover". In addition, the show will be hosting Nashville's hottest singer/song writer George Shingleton as well as newcomers Lizzie Sider, Monroeville and Craig Ledford who are all turning heads at radio. Monroeville - Fast Cars, Fast Songs, and ROMPsquatch? Monroeville sends us an update for the 2012 year. The band had a great time at the Argyle Bluegrass Festival in Texas where they joined one of their hero bands, Blue Highway, for some of the workshops. Now, its on to fast cars, fast songs and ROMPsquatch! Catch the rare video of ROMPsquatch below. Read more about Monroeville - Fast Cars, Fast Songs, and ROMPsquatch? Monroeville has just added to their arsenal! They are proud to announce the addition of new member, Eli Johnston. 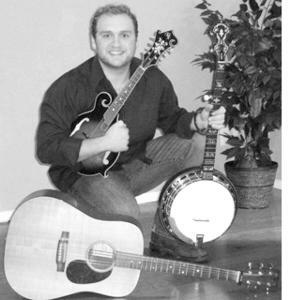 Eli, a bluegrass multi-instrumentalist, amazing vocalist, and prolific songwriter, will be making his debut with Monroeville on Saturday, December 17th, at the live taping of the PBS show Song Of The Mountains in Marion, VA. "I'm very excited to have the opportunity to play professionally with some of my best buddies!," states Eli. "The future of Monroeville is very bright and I'm honored to be a part of it!"